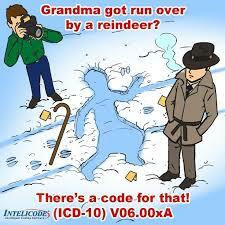 Isabel Healthcare is pleased to announce that we offer ICD-10-CM coding into all our products. This includes Isabel the Diagnosis Checklist, the Isabel Symptom Checker, Isabel Active Intelligence and the Isabel Clinical Educator. ICD stands for International Classification of Diseases. Believe it or not, ICD-9-CM was introduced more than 30 years ago and today’s healthcare data needs are dramatically different to those in the 1970’s. ICD-9 is not able to accurately describe diagnoses and inpatient procedures for the care now being delivered. For Electronic Health Record providers or hospital systems which have integrated Isabel seamlessly in their work flow using ICD-9, there are many benefits of upgrading to ICD-10, and it will advance healthcare in many ways. There will be more streamlined access between Isabel and the system you are integrated into, which will lead to a better workflow and harness the power of both systems.